This view at the end of Victoria's reign is one of contrasts. 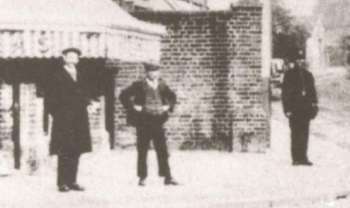 In the centre is William Turner's coal office, contemporary but typical of urban and rural settlements alike. 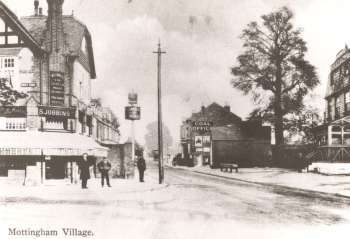 On the left is "Jobbin's", the bakers shop, a newly arrived suburban style bakery, serving the new residents of West Park and Mottingham Lane. On the right is the ancient Purcupine public house, licenced as long ago as 1688. These premises dated from about 1800 and were replaced by the present building in 1922.